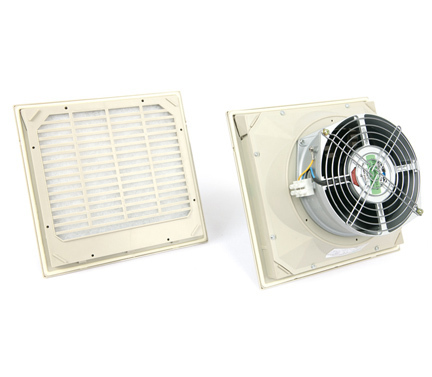 The design can be fitted with three fans with the size of 120mm*120mm which have more power, standard protection can reach IP 54. 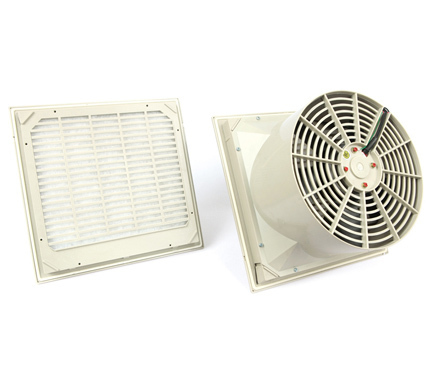 Quick-fit technology enables fan filter unit to snap into prepared mounting cutouts to eliminate the need for any tools. 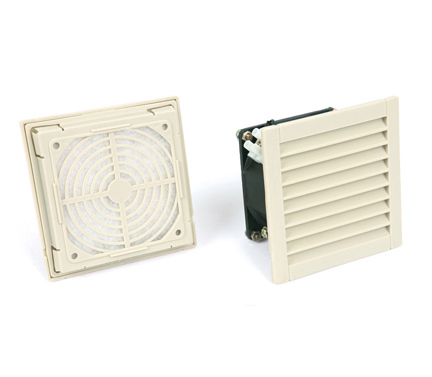 Reversing the fan motors changes the airflow direction. Power connections can be positioned for quick wiring with spring clamp terminals that require no tools. 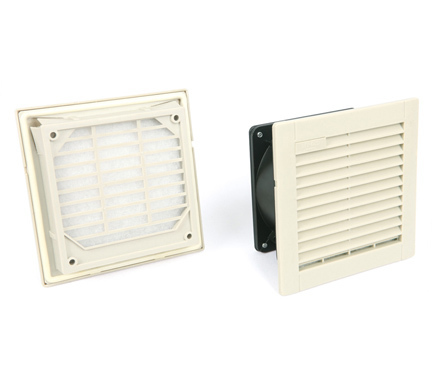 Louvered grill latch for quick, toolless filter mat replacement.